The Sunbanks Festival is a four-day, semi-annual music festival located against the backdrop of Banks Lake near Grand Coulee Dam at the beautiful Sunbanks Lake Resort in Electric City, Washington. The prestigious event is a seven-time Washington Blues Society B.B. Award recipient for “Best Music Festival” in the state! 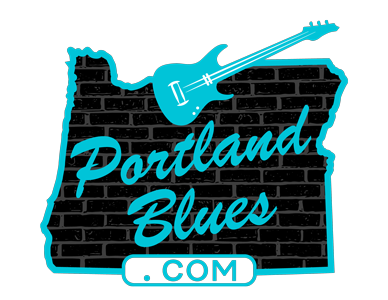 Founded in 1995, local, regional, national, and international artists alike have performed on this diverse stage that features rhythm & blues, rockabilly, funk, roots rock, Americana, singer songwriters, and more. Held twice a year, the 2018 falltime version of the festival will take place on Thursday, September 6 through Sunday, September 9. It all begins on Thursday evening with Acoustic Music in the Cantina – an intimate rock garden amphitheater located behind the grand log cabin lodge featuring Mark Hurwitz, Rob Tudor & the Holy Grail and the Little Bill Trio. Then the main party continues Friday through Sunday on the main stage with featured acts performing in an awesome setting surrounded by the stunning scenery of the lake framed by the rolling foothills. Performing at the festival will be Too Slim & The Taildraggers, Rick Estrin & The Nightcats, Harlis Sweetwater, Commander Cody, Levee Town, Junkyard Jane, Sister Mercy, Fabulous Roofshakers, John Bunzow, Felix Y Los Gatos, Michelle Malone, Dead Man, Shoot Jake, and The Barnyard Stompers. For more information, including tickets, lodging, camping and more, visit the festival website at sunbanksfestival.com.